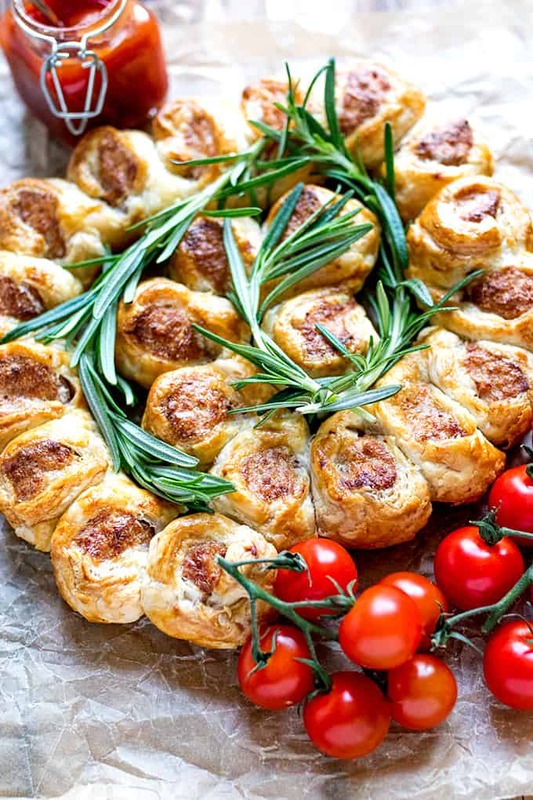 Home > Appetizers, Starters & Party Food > 11 Picnic Food Ideas That Aren’t Sandwiches! Who doesn’t love a good picnic! 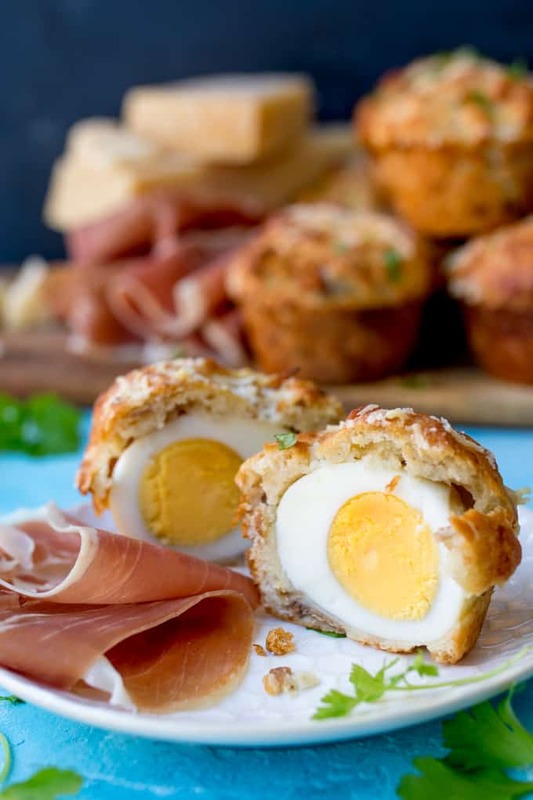 These 11 picnic food ideas are perfectly portable – to make your picnic feel really special! To be perfectly honest, I love a tasty sandwich as part of my picnic basket! But sometimes a special picnic calls for something a little bit different. 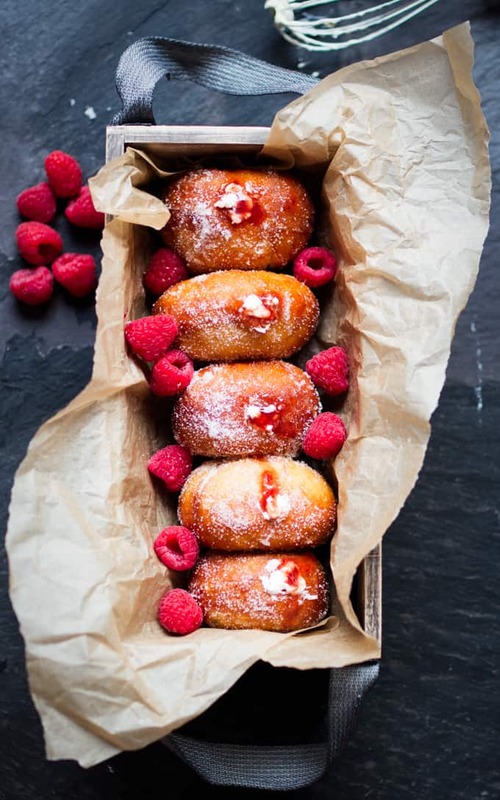 Raspberry Ripple Doughnuts – Make sure you pack the napkins for this one – the jam and cream filling can make them a bit of a messy treat! 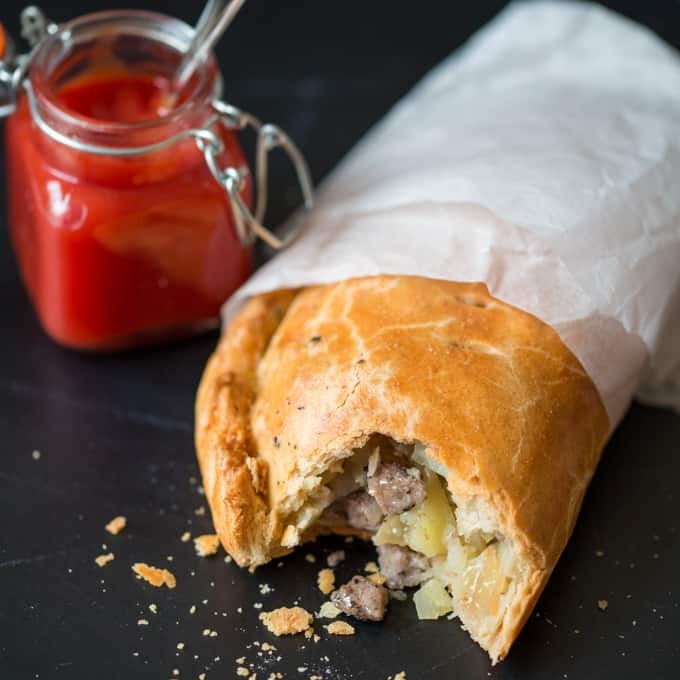 Cornish Pasties – an old favourite, inspired by our family trips to Cornwall. 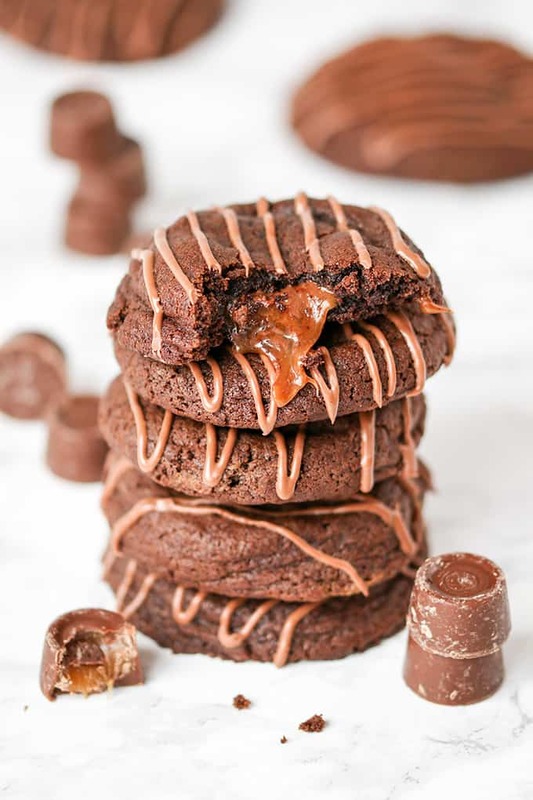 Gooey Rolo-Stuffed Cookies – So moreish! The gooey filling is awesome! 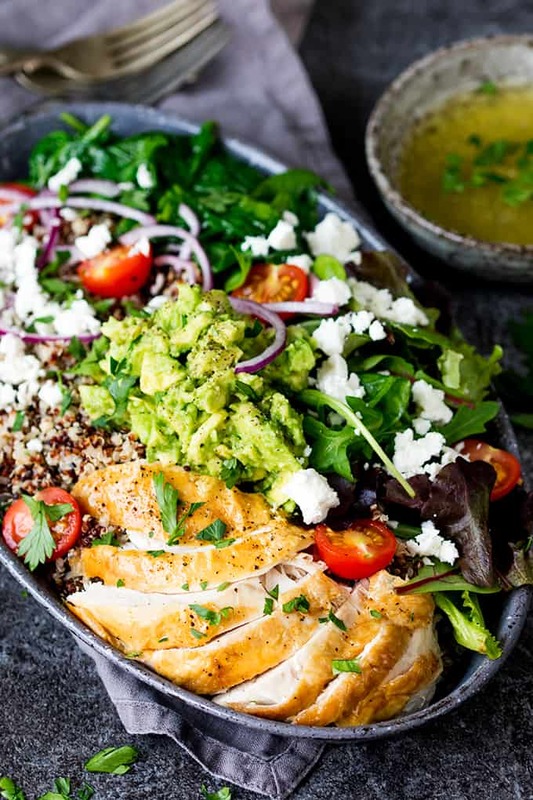 Chicken and Quinoa Salad Bowl – You’ll need a fork and bowl for this one – but it’s a guaranteed winner! 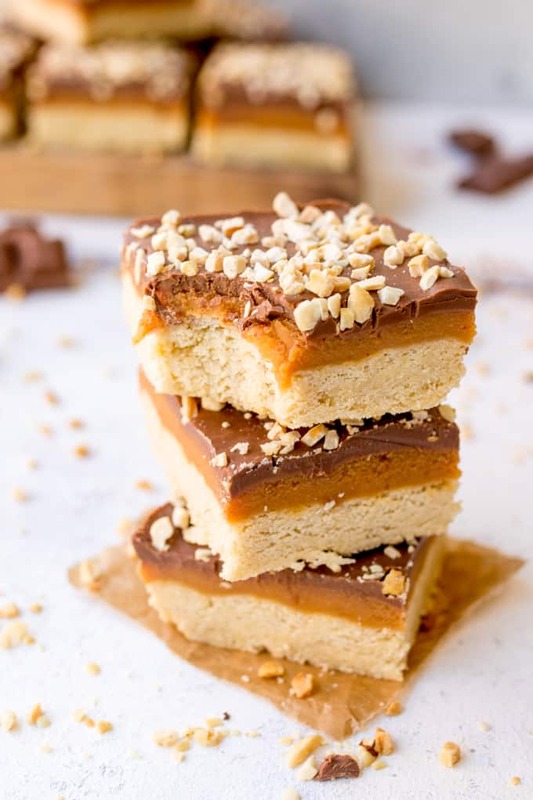 Salted Caramel Millionaire’s Shortbread – Easier to make than you might think. I like to cut these up in bitesize pieces to make them go further. 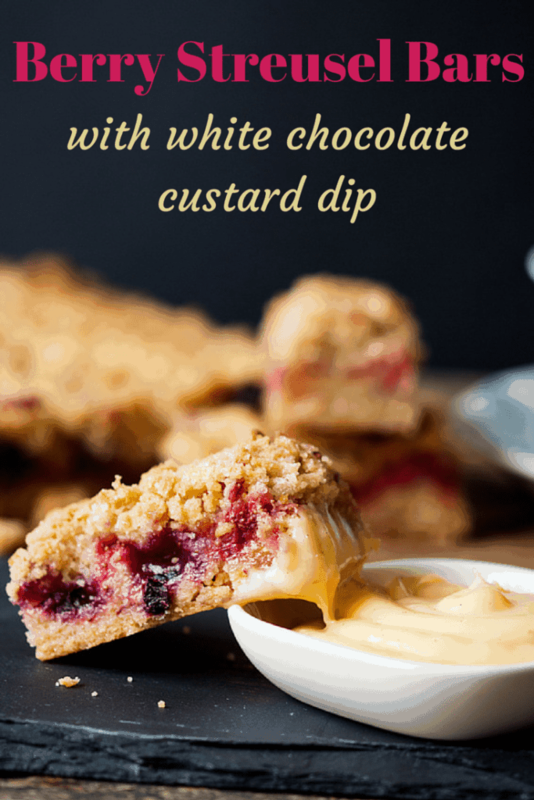 Berry Streusel Slices – Berry crumble made into portable bars! 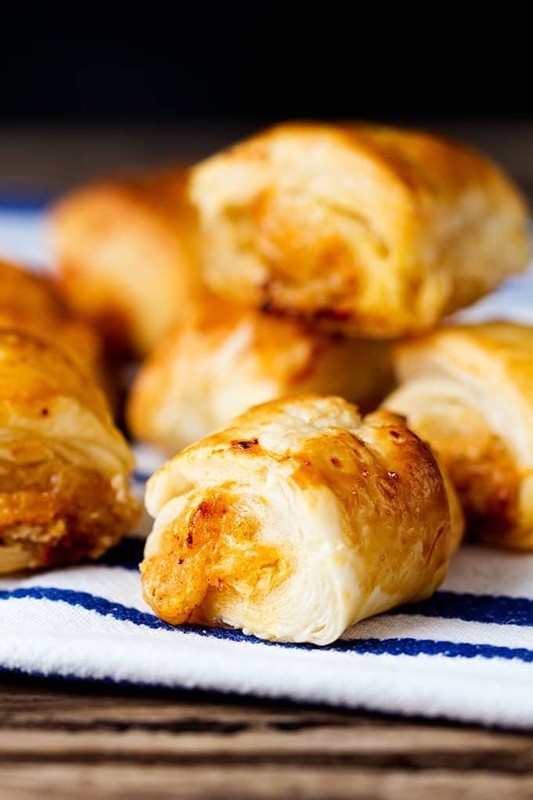 Vegetarian Sausage Rolls – Super simple, made with store-bought puff pastry. 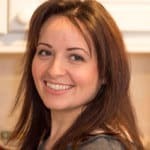 The meat eaters love these too! 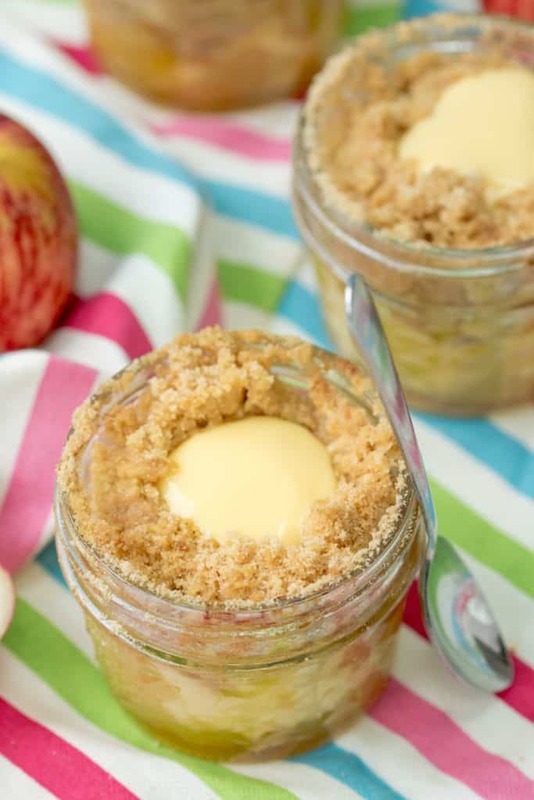 Portable Apple Crumble Jars With Custard Core – Delicious hot or cold! 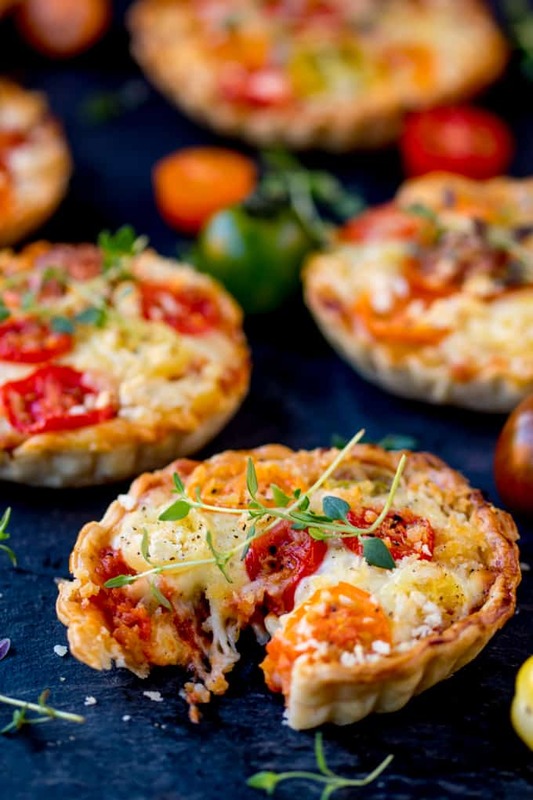 Cheese and Tomato Tarts – They look a bit like quiche, but they’re not! Instead they’re filled with a cheesy bechamel filling. 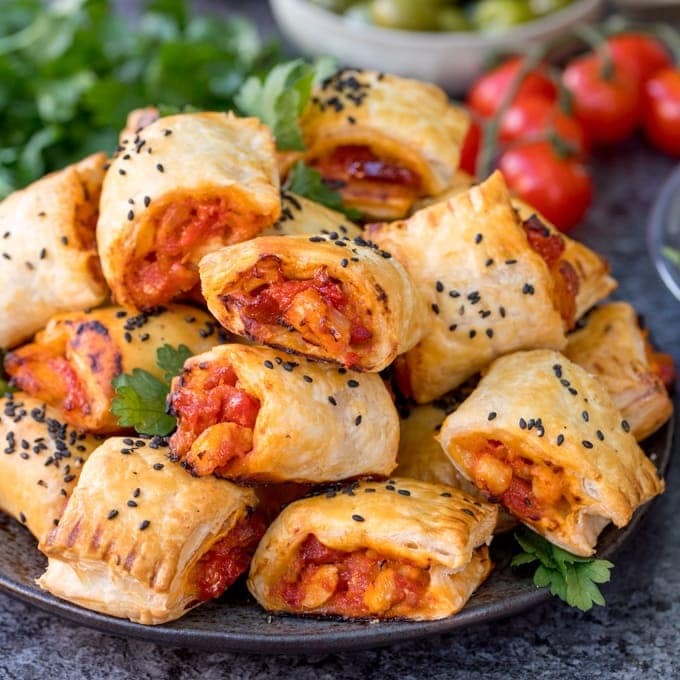 Tear and Share Sausage Rolls – Only 3 ingredients needed for these meaty treats! 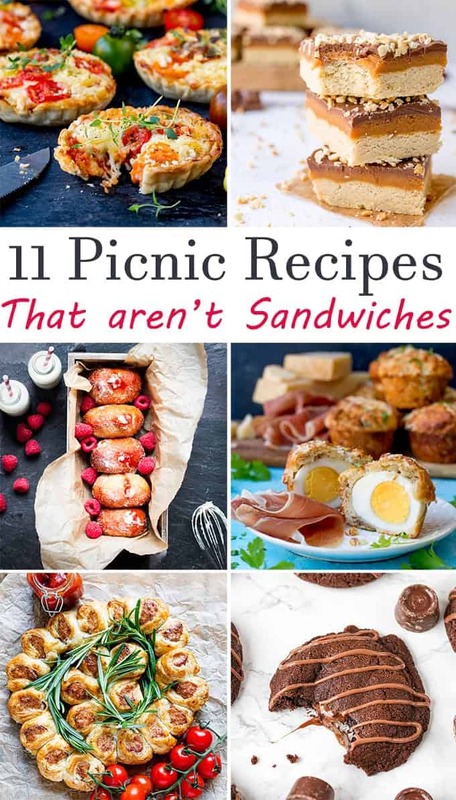 That’s my top 11 picnic food ideas! 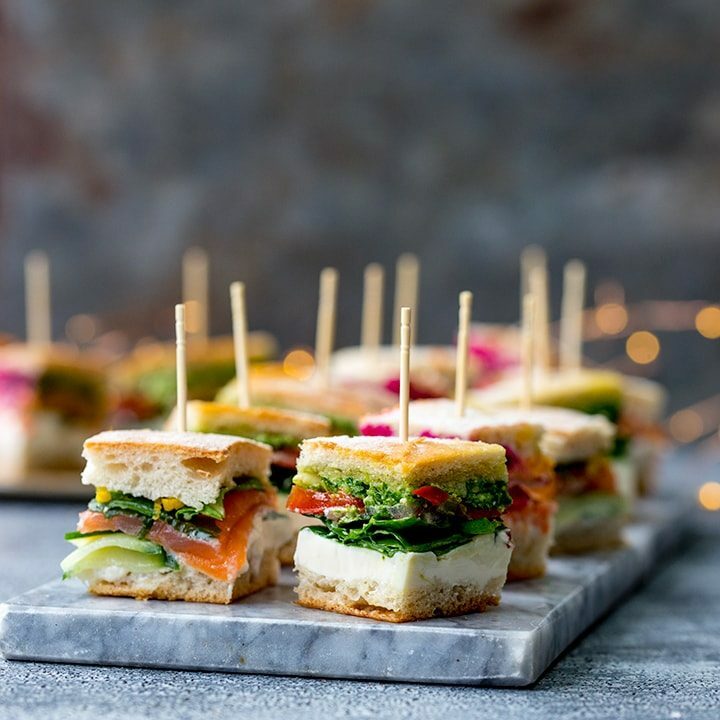 Do you have any picnic favourites? A great set of picnic ideas! 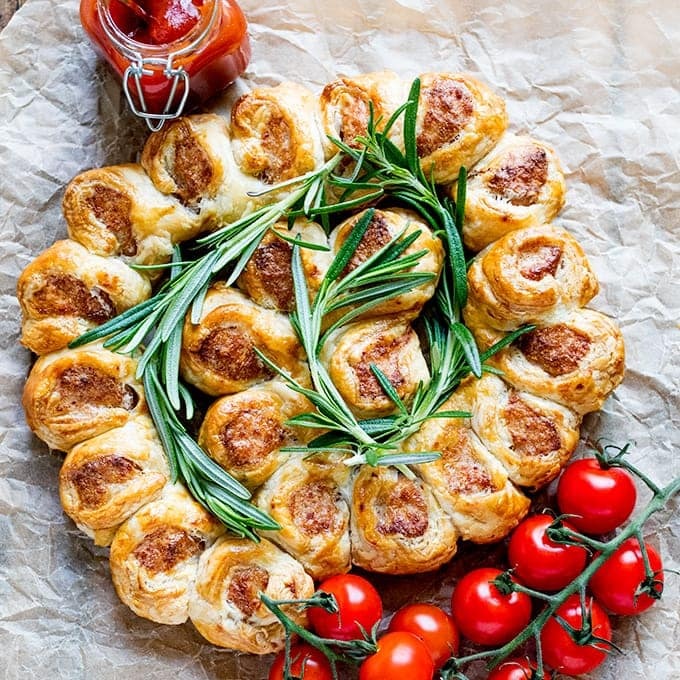 I love the sound of those doughnuts and those sausage rolls look amazing!